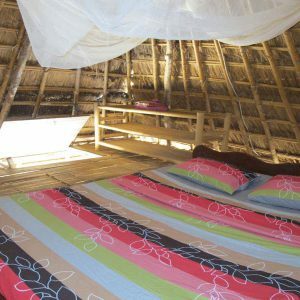 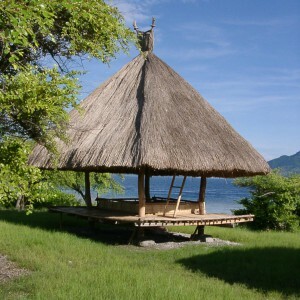 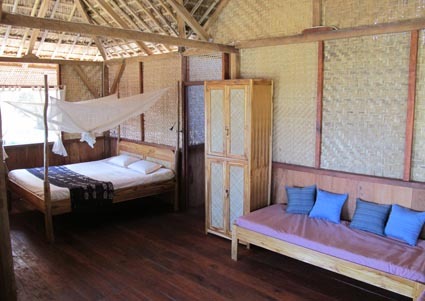 The resort is built like a traditional village, with mountain huts as well as customized coastal houses made of bamboo, locally grown and recycled woods, thatched covered and surrounded by banian trees. 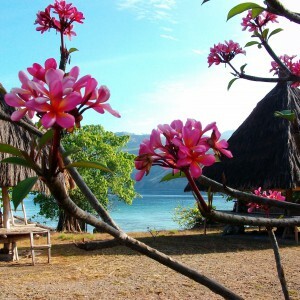 This place, we are pleased to share, has been inspired by our respect for local culture and our ecological convictions. 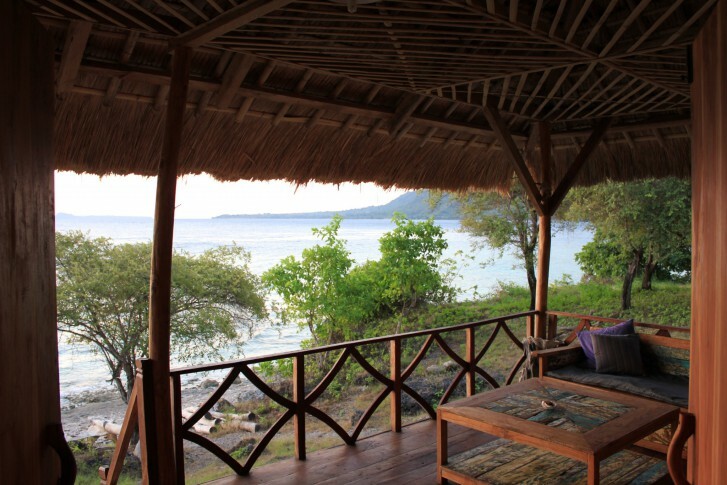 The 10 bungalows offer diferent configurations, in order to accommodate everyones’ holidays needs: from budget options with the traditional huts or the « basic » bungalows, the « standard » bungalows with their private bathroom, to the most cozy with the « exclusive » bungalows. 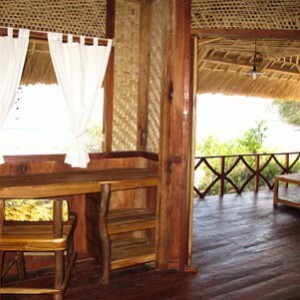 Their descriptions are summarized below. 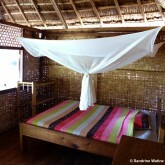 Read also about facilities and organization, food and rates. 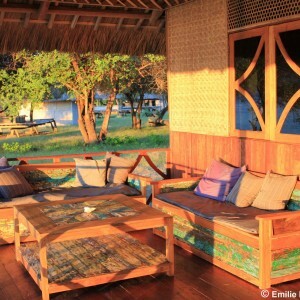 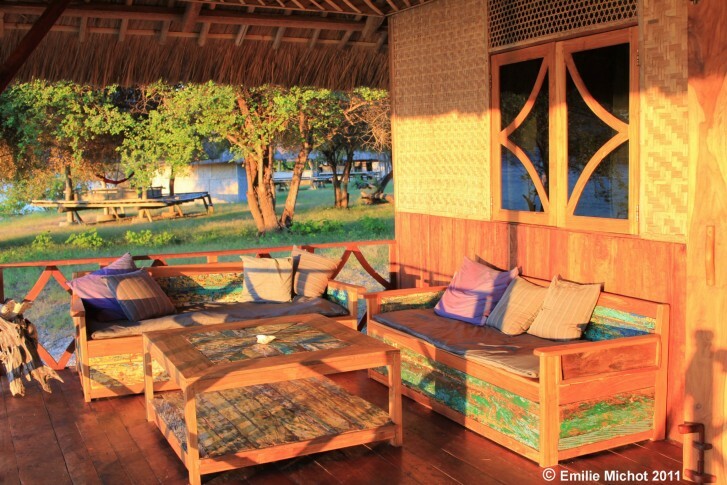 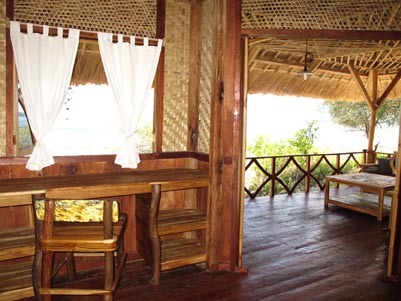 Two bungalows have been built to offer the best setting for your eco-friendly holidays. 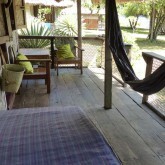 Spacious (52 m2), with a 180 cm double bed and the possibility of 2 single beds, they also can suit to families. 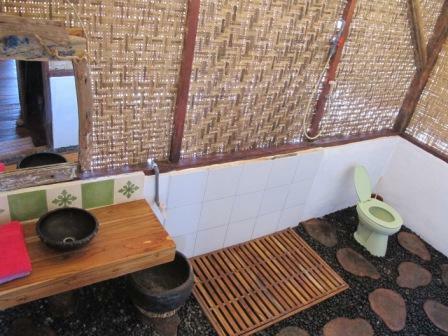 They are fit with an indo-occidental style bathroom (occidental toilets, ambient temperature shower as well as « mandi » bucket- possibility to have solar-heated shower bag), your own 220V power station to charge your equipments or use your laptop (still from photovoltaic solar system). 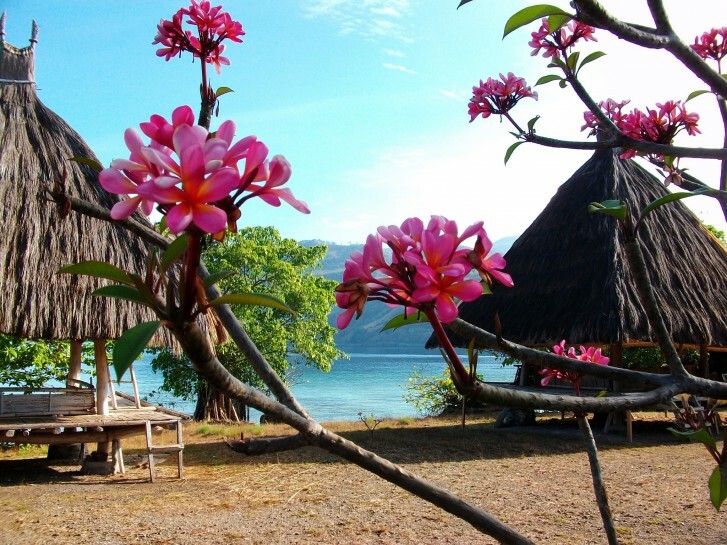 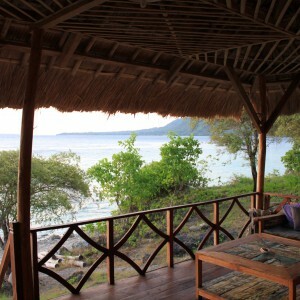 The large terrace right sea-front is just the perfect spot to relax and enjoy the view… For all this, these bungalows offer you an exclusive stay in Alor! 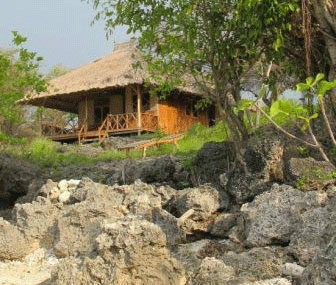 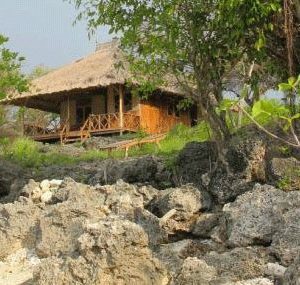 Five bungalows are built like simple village houses, 5x5m with a 15 m2 bedroom and 10m2 terrace looking towards the sea. 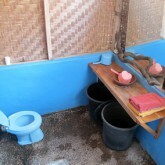 For technical/ecological reasons, 2 of these ones, mentioned as « basic » don’t have in-door bathroom (use the 4 shared bathrooms), and 3 mentioned as « standard« , have their private attached bathroom (occidental toilets and indonesian « buckets shower ») . 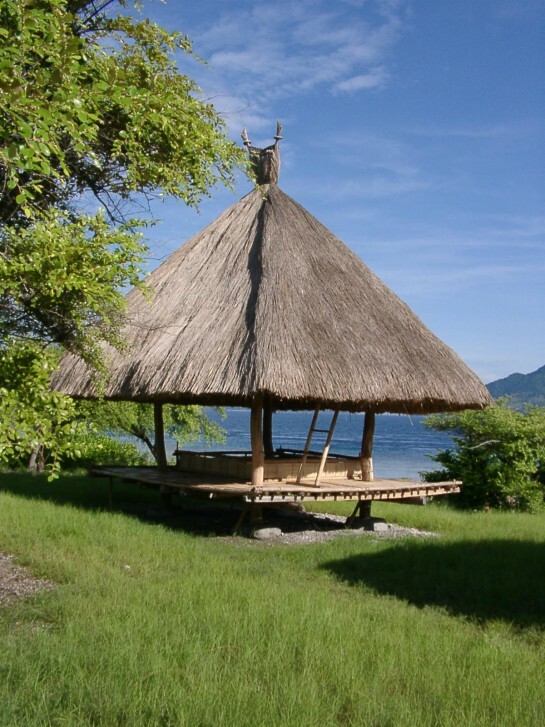 Three others are built like the traditional huts of the mountains tribes. 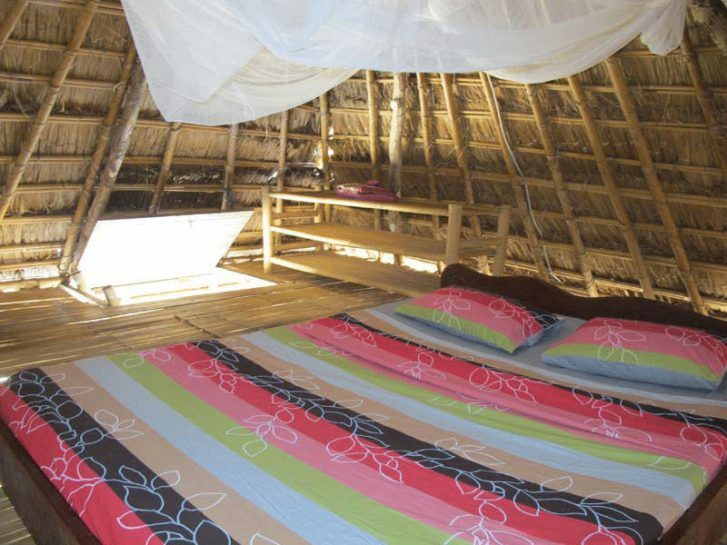 They have a « 360° view » 1st floor and a bedroom on the 2d floor under the roof. 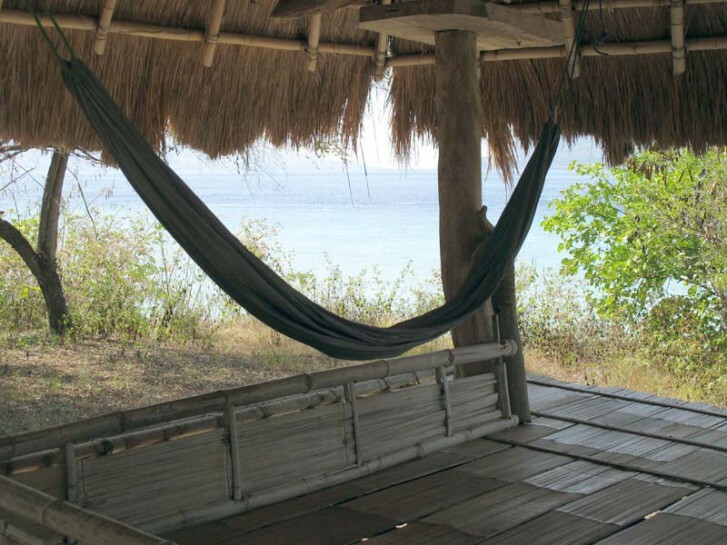 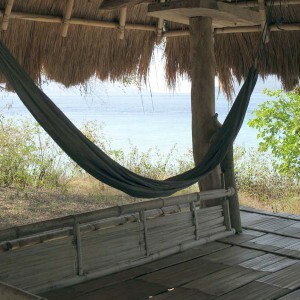 This is another budget solution for a unique Alorese experience and a perfect place to enjoy the sea breeze from your hamac (provided).